This is part two of a five-part series about Starship design in Star Trek Online with Thomas Marrone (@thomasthecat, @Cryptic_TtC) . Last weeks entry can be found here. Thomas joined Cryptic in 2010 as a web designer working for Cryptic and Atari. He moved over to STO in early 2011 as a UI artist and in November of last year moved over to ships full-time. Check out his portfolio, Tumblr, and many DeviantArt examples. In the community Thomas is well-known for his updates to classic canon Star Trek Online models, much of it done on his own time. For many of us it’s the kind of improvement we look forward to, adding new life to classic designs, or a new generation of that model. Today we got the official confirmation of the T6- Yamamoto Dreadnought. Q3.1: Are they hands on, or is it more of a process where you’re left on your own? Well, it being my job helps! 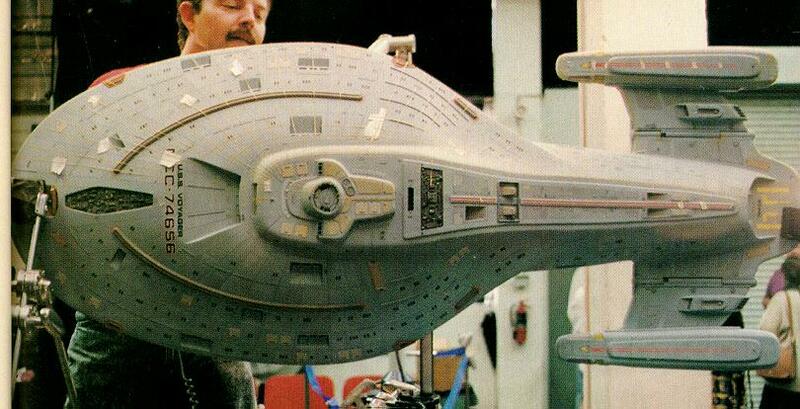 But seriously, I think everyone understands how cool it is that they get to make 3D spaceships all day. When you’re building the final 3D model, much of the “hard” work has been done – you just need to execute the vision that everyone has agreed on. There are plenty of places where you can add your own take on the concept, but in general at that point you are a construction worker following a blueprint. When you are actually designing the look of the ship, that can be challenging because there is nothing more intimidating to an artist than a blank piece of paper. It’s one of the reasons we work so hard early on to discuss the references and influences we like, so that we have a strong foundation to develop the concept of the ship and feel solid in the direction we take the design. Q3.2: Do you listen to certain music or tv episodes to get in the mood? It depends on the type of work I’m doing, and I’m sure the answer for this is very individual to the artist. Myself, I like to listen to movie scores because they’re often inspiring. Or, I might be binging on a show I’ve seen many times before like Star Trek or the West Wing and might have that on as background noise. But I never watch anything I haven’t seen before as that can be too distracting. Q3.3: Are you more of a clinical designer, drawing from physical examples to produce a design? We always look at our reference for general inspiration, but mostly the types of things we are working with are based in speculative fiction so our best examples are the physical and CG models used in the shows. Those can come in handy for certain, but since we are creating entirely new shapes it’s hard to rely exclusively on physical examples. Q4: Tools – for the 2D phase of the design what tools do you use, and why? We use Photoshop CS6 and either a Cintiq or Intuos WACOM tablet. The Tablets let us “draw” directly into a digital file in Photoshop, which lets us have total control over the image. In Photoshop we can use layers to quickly iterate on ideas or different blending modes to achieve various effects while we are coloring the art. It’s an essential tool to quickly and expertly generate the concept art we need to use as reference when we are building the final model. Yes, this weeks entry is shorter compared to the others. Not to worry, much more is on the way! 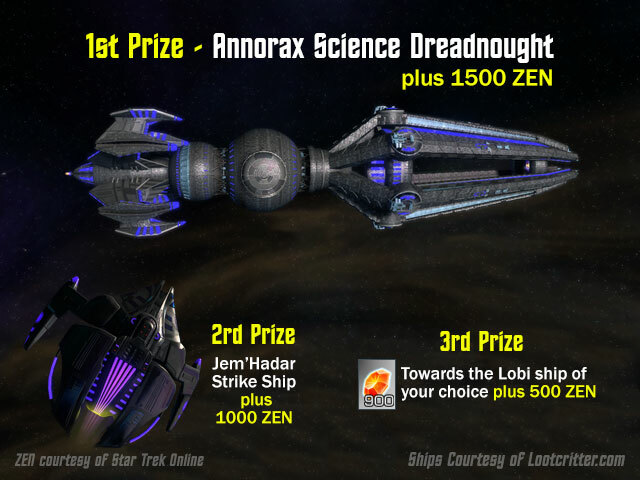 If you’ve read this far, you are also know that we’re giving away some cool ships and Zen at the end of this blog series on October 30th 2015. Full contest rules can be found here. We’re accepting entries after we post each blog for 24 hours only. Question One: Where does the best reference material for #STO starships come from? Question Two: What’s your favorite STF (active or inactive)?